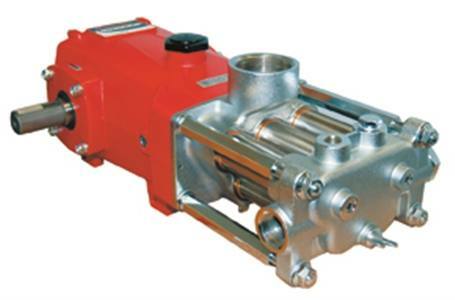 Thanks to Maruyama's patented Uniflow Design, our 5-piston pumps are the best on the market. - Chrome-plated cylinders provide excellent wear resistance for greater cup/seal life. - The unique valve design uses the inertia of the moving fluid to create a smooth continuous flow that is self-lubricating and self-priming. - Premium materials like stainless steel cylinders, chrome-moly crankshafts, oversized ball bearings, diecast aluminum crankcases and Viton seals provide performance, strength and tolerance control. - Our 5-piston pumps can be easily configured to various rpm ranges, flow rates and pressure settings depending upon the output requirements. - Self-cooling and lubricating — free from oil or grease contaminants.